The ground color is white to pale cream. Irregular black spots are scattered on the dorsum. 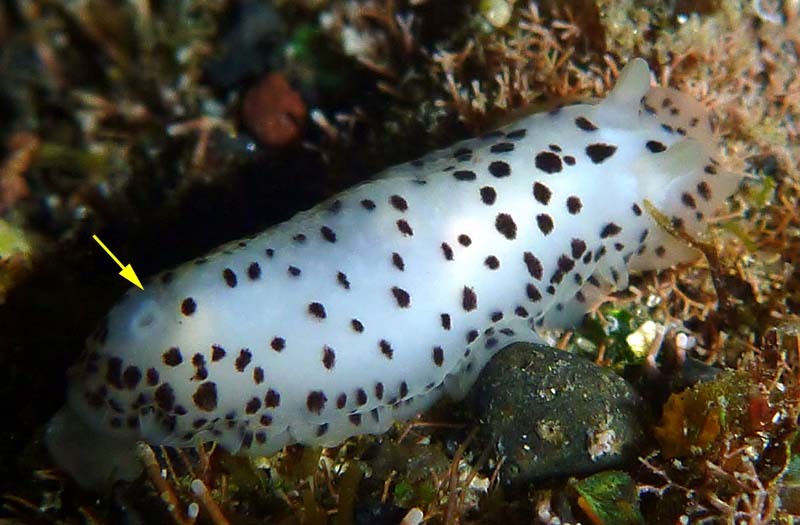 The rhinophores are slightly darker than the ground color. The gills are the same as the ground color. The low branchial pocket is smooth. 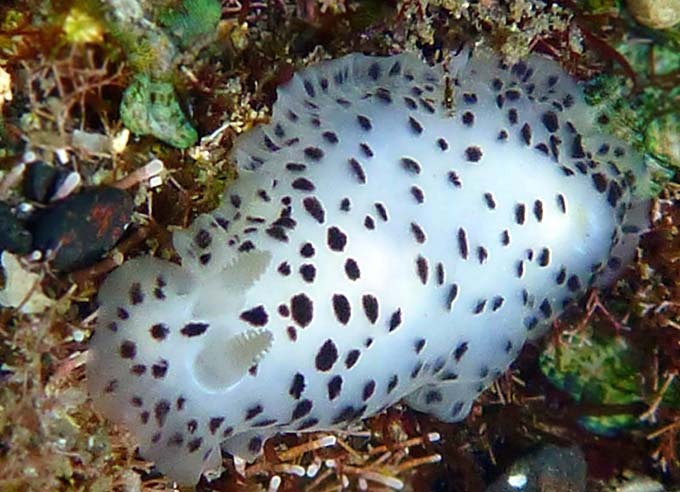 - The rhinophores and gills may have a few black spots. Etymology : This species is named in honor of our colleague, mentor and friend, Dr. Rudolf Stohler (1901–2000), for his numerous contributions to malacology. As founding editor of The Veliger , he supported and encouraged many young students (Bertsch 2000). We remember his eccentricities and his graciousness ... a true gentleman and scholar !